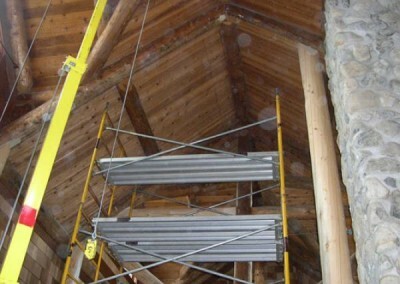 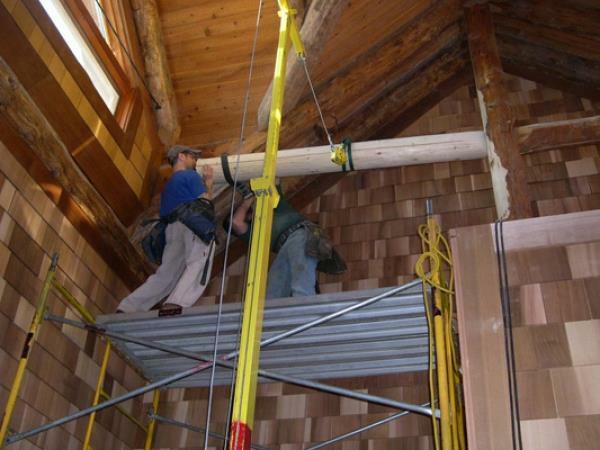 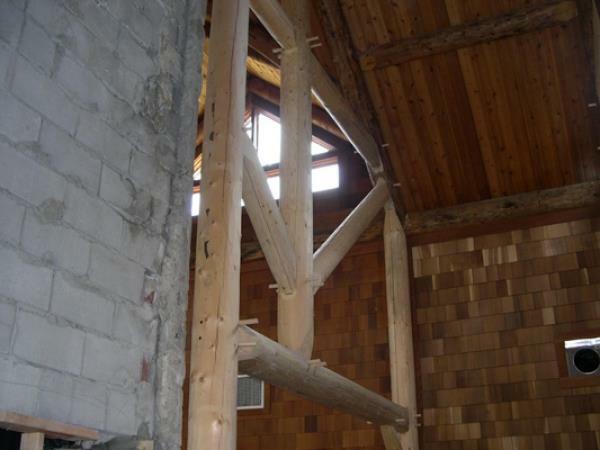 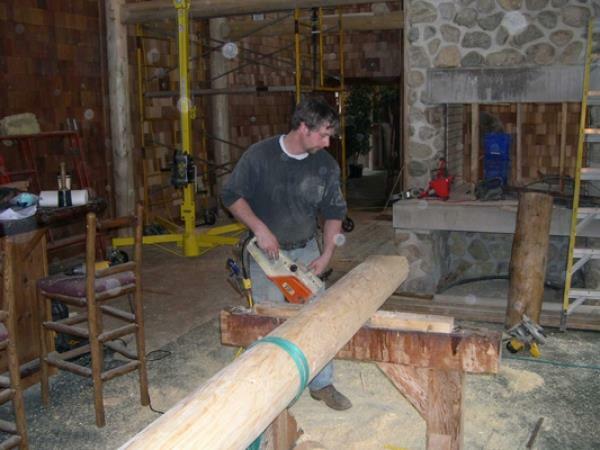 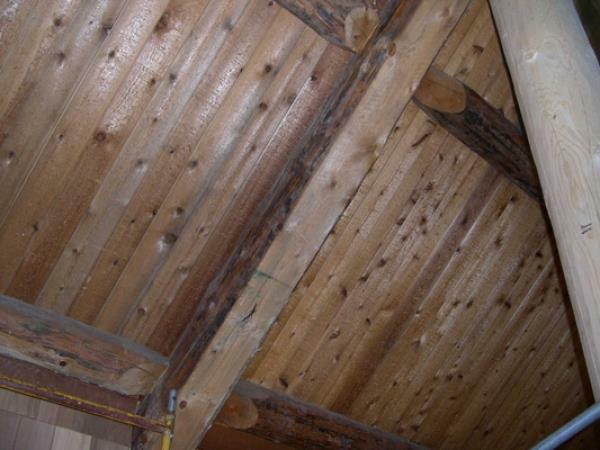 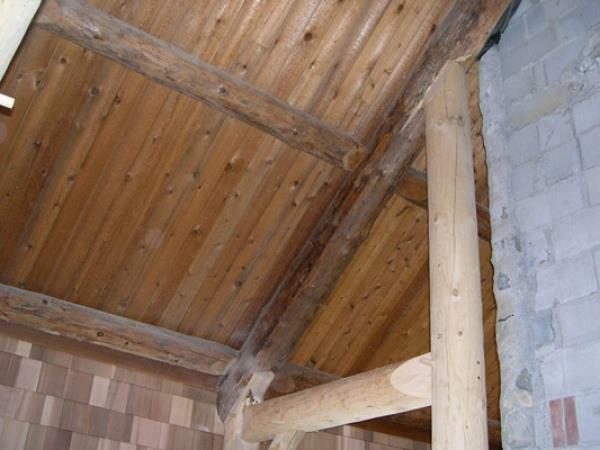 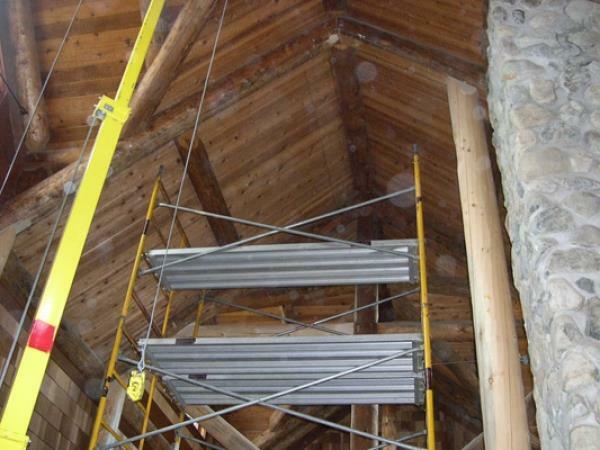 Pine Barrens Golf Course | Lancaster County Timber Frames, Inc. 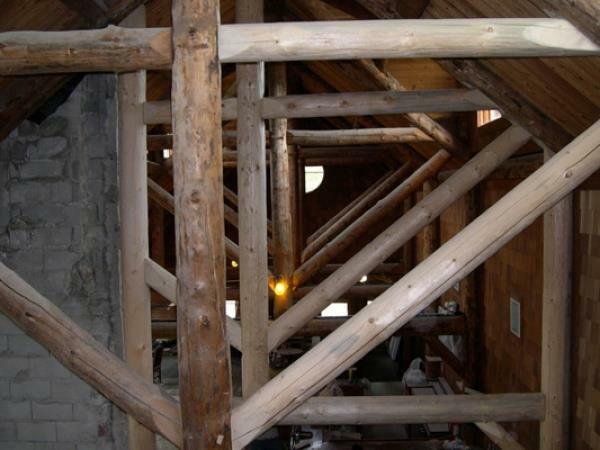 Built within sight of the Lakehurst Naval Air Station where the 1937 Hindenburg disaster occurred, this Adirondack-style clubhouse is the perfect complement to the private golf club’s championship golf course. 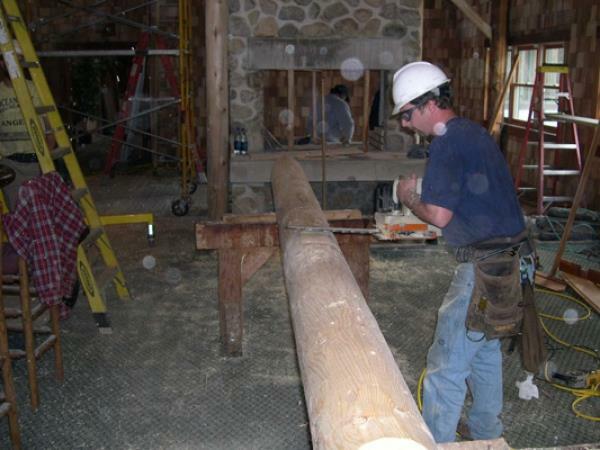 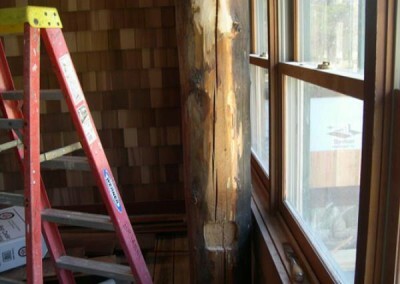 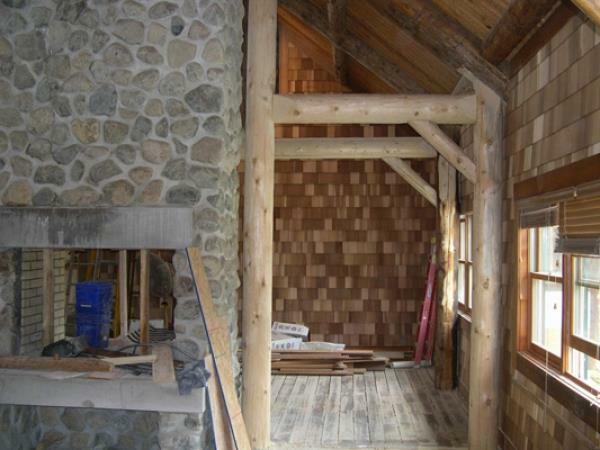 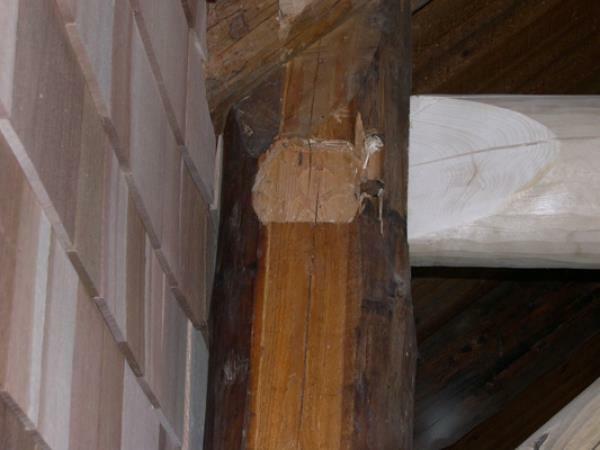 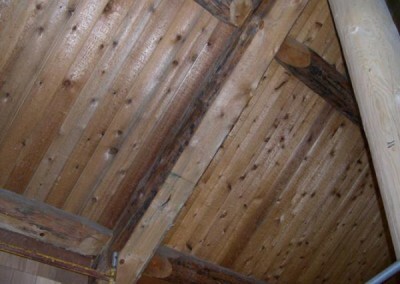 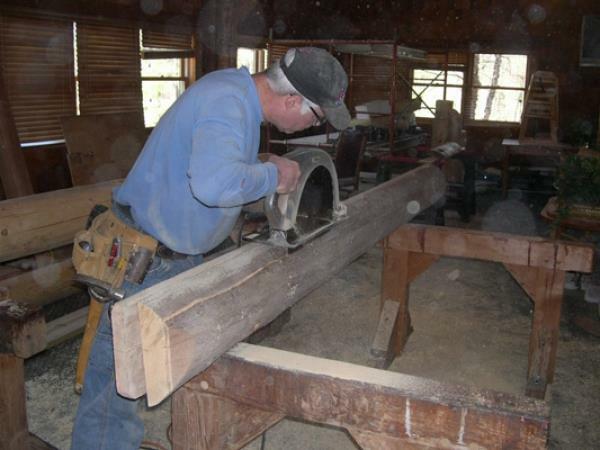 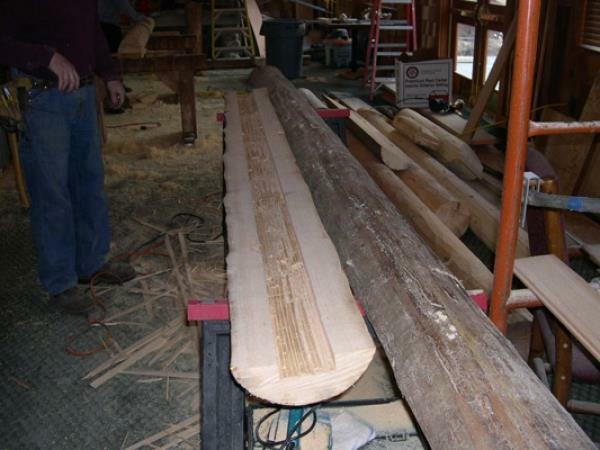 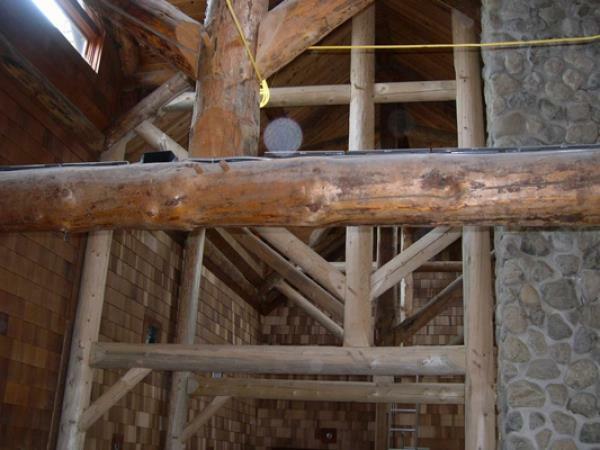 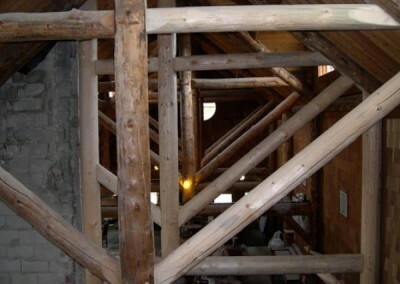 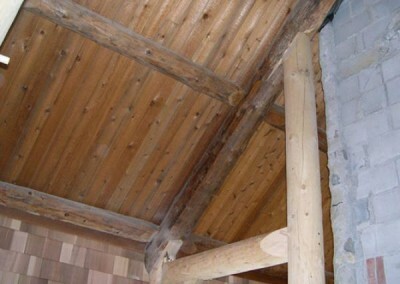 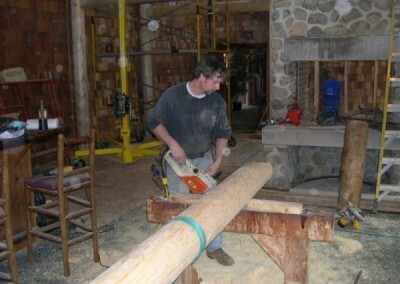 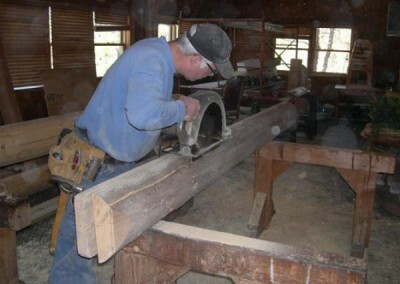 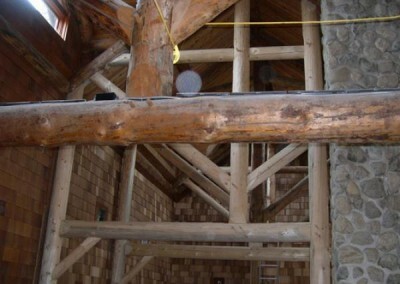 The entire frame is “round work”, traditional mortise and tenon joinery in irregular round pealed logs of lodge pole pine. 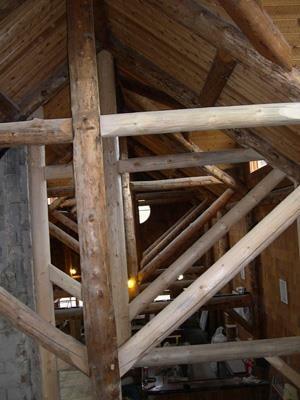 The building houses a restaurant and lounge, a pro shop, and the customary golfers’ service areas. 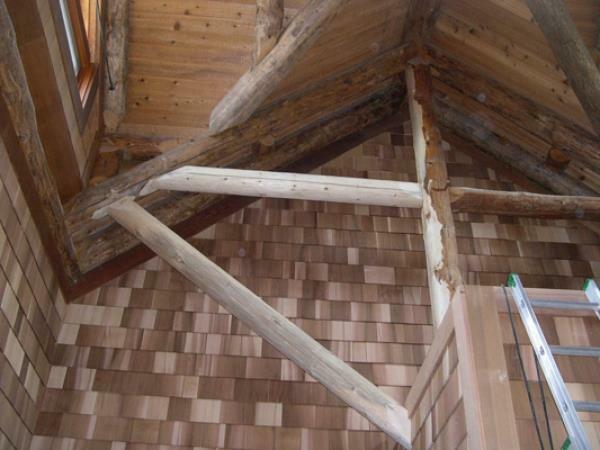 The timbers are finished with a warm reddish brown medium stain. 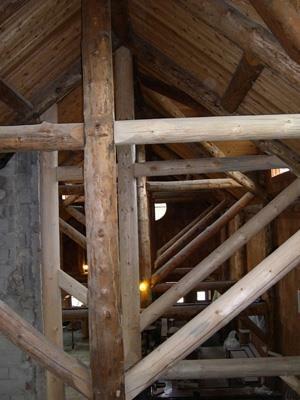 The overall feeling of the clubhouse is one of rustic elegance. 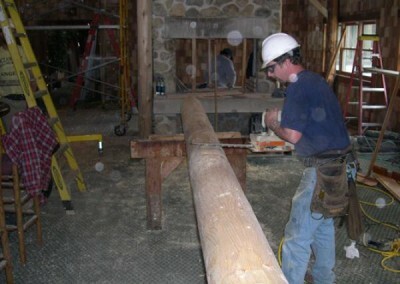 For more information on Pine Barrens Golf Club please go to www.pinebarrensgolf.com.